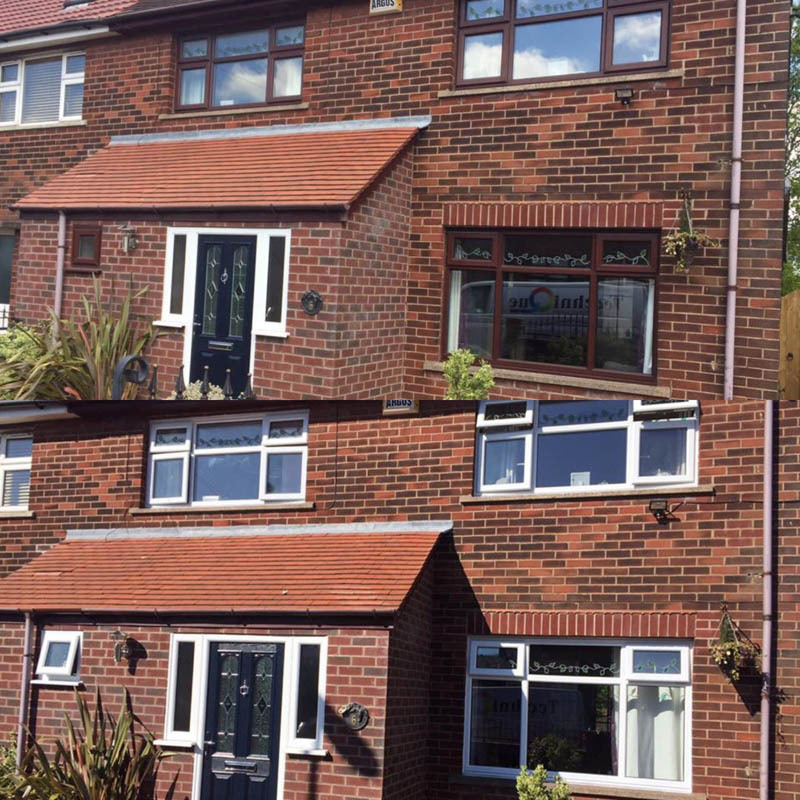 As opposed to replacing your existing windows, respraying can provide you with a cost effective solution to replacing. 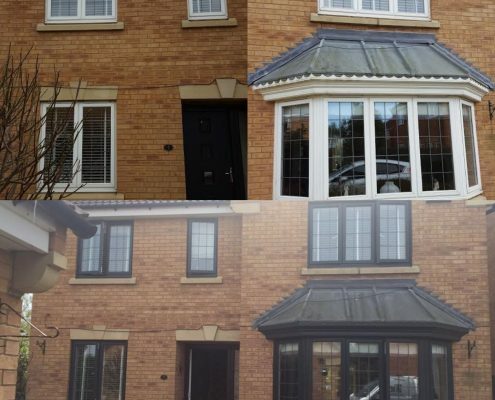 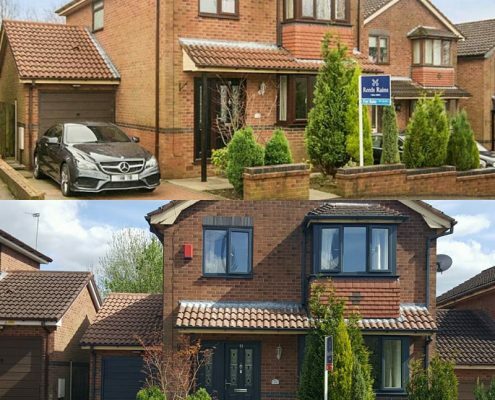 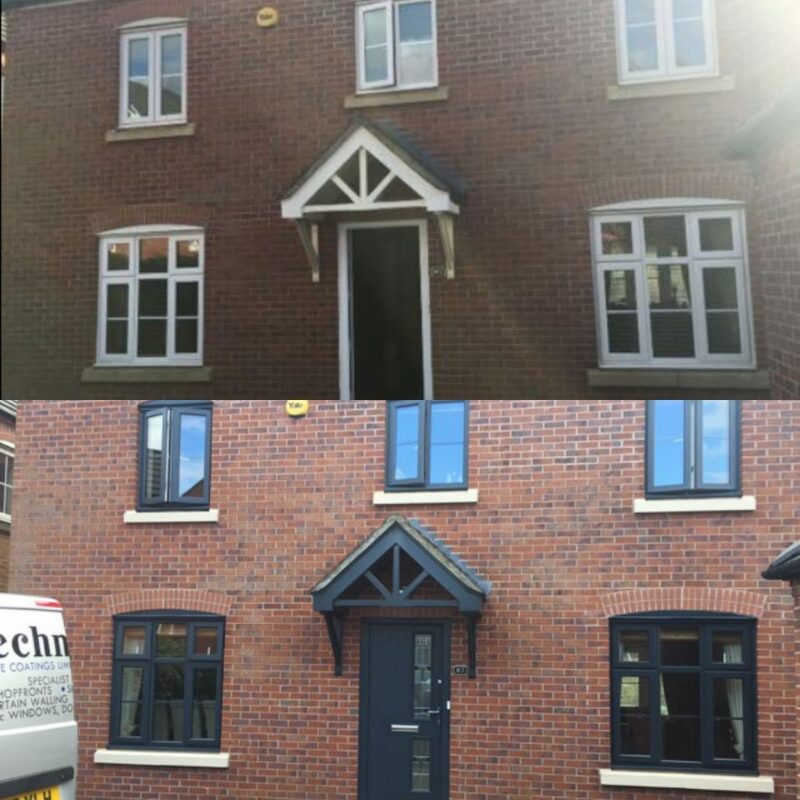 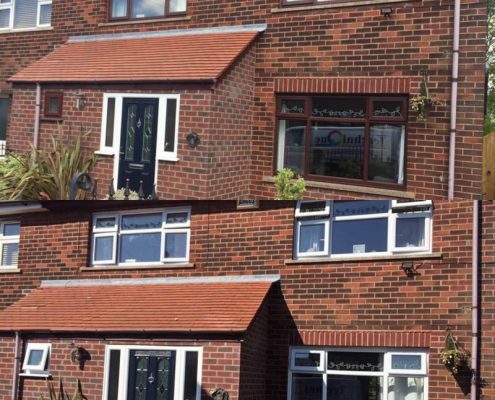 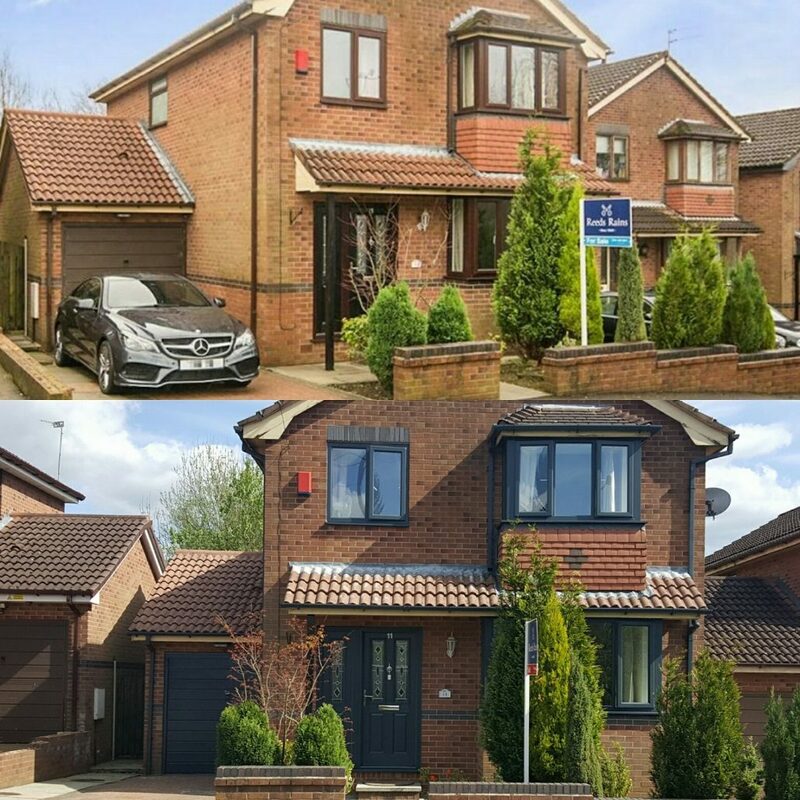 Respraying is the ultimate answer to updating your existing frames on a budget – whether they are looking dull and lifeless, or just require an aesthetic alteration – our team can make the ultimate transformation to your property both internally and externally. 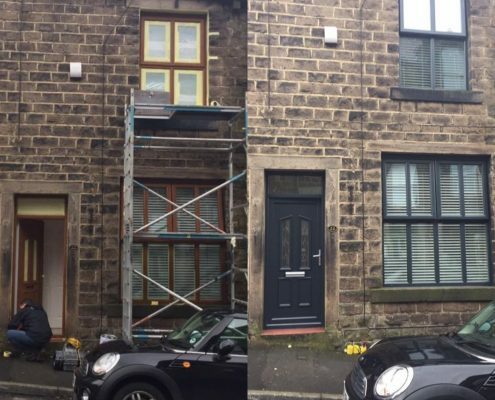 Our on-site spray specialists attend your property in order to carry out the respray. 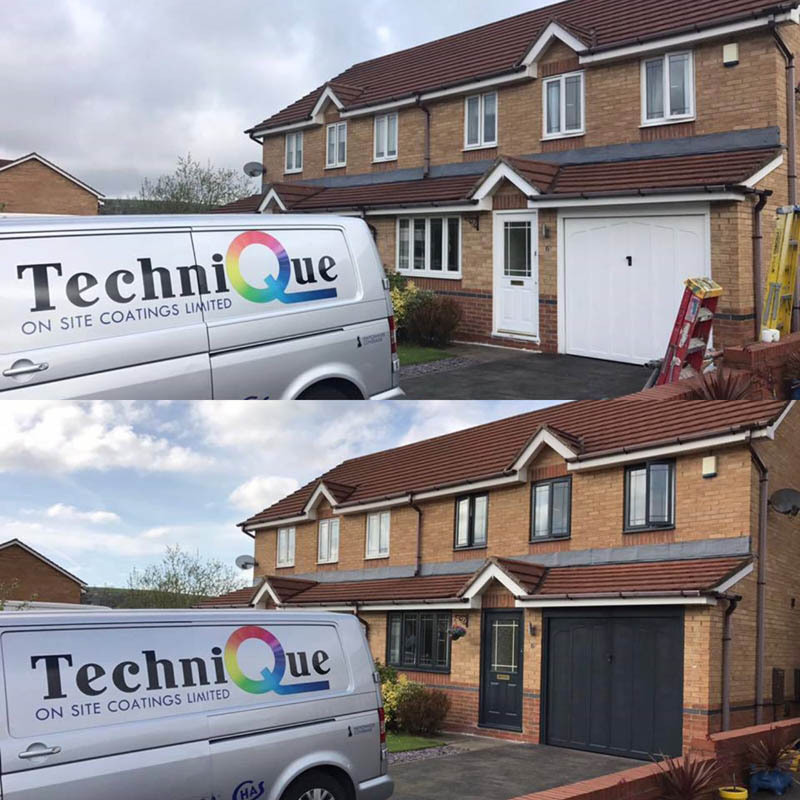 This means works are completed in less time with no mess or building work, as well as providing minimum disruption to your home and neighbours. 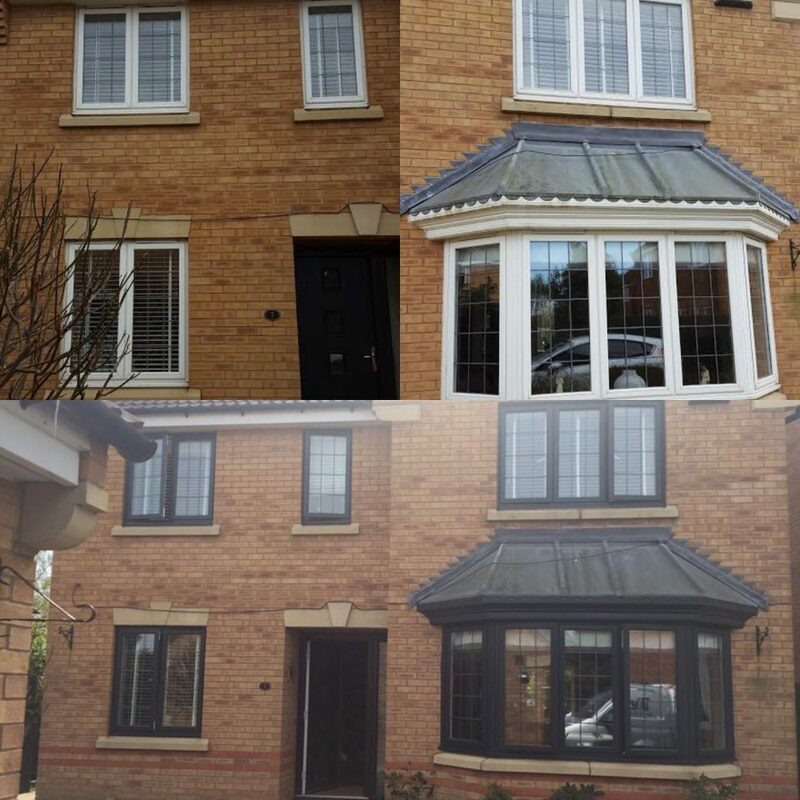 Alongside numerous other benefits, the respraying of UPVC windows can save you thousands – costing just a fraction of the price of new! 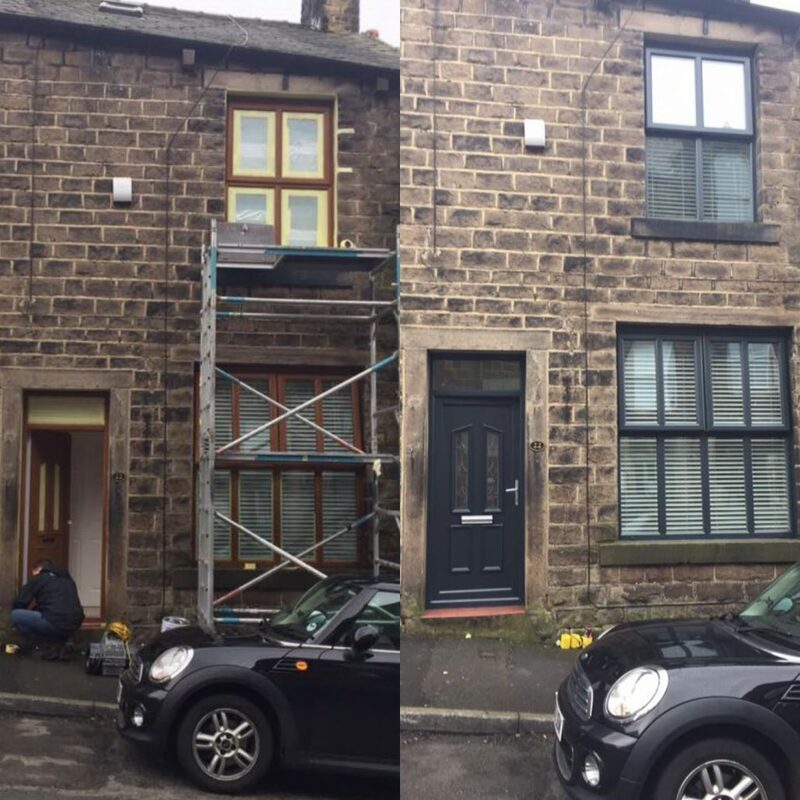 Surface areas are masked, cleaned, prepped and primed prior to the respray. Using only the best product on the market, our paint is applied using a HVLP (high volume, low pressure) spray machine – which keeps overspray to a minimum. 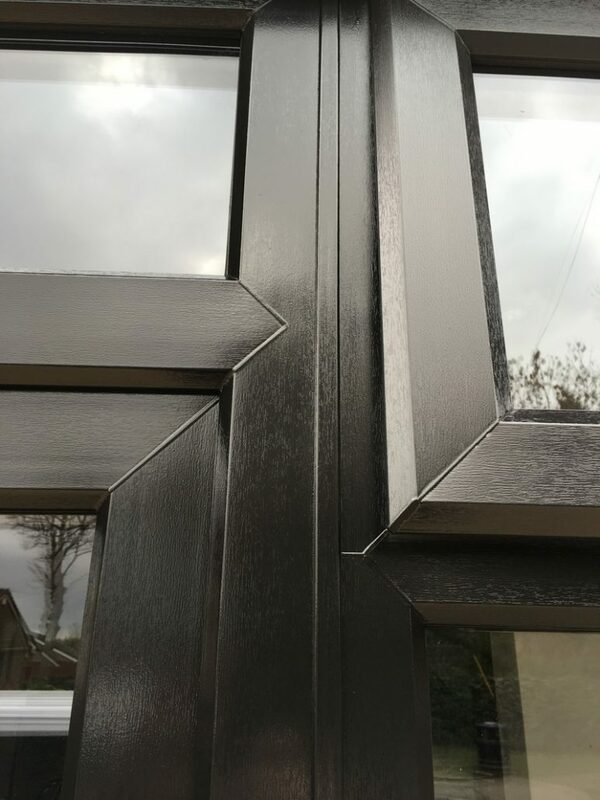 Once paint has been applied onto frames, it creates an extremely hard-wearing bond with the surface which is expected to last nine years +. 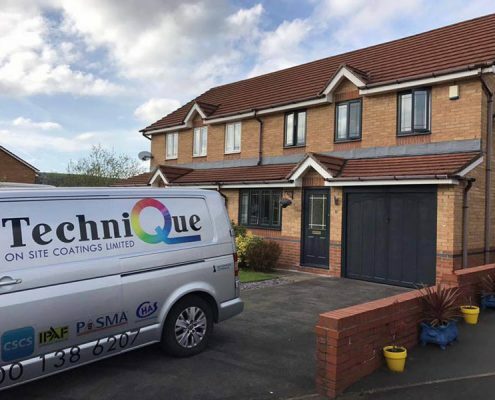 Once the coating is fully applied, the surface is touch dry within ten minutes – and cures fully within 3/4 days. 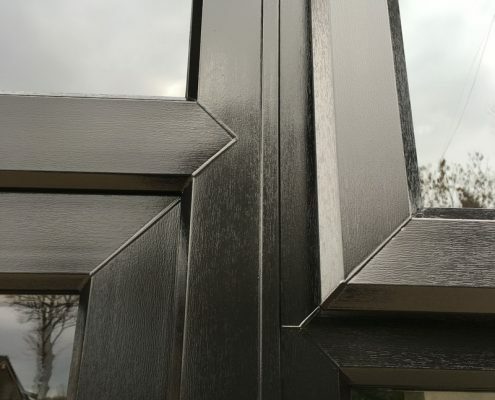 As well as the above, we also remove all existing silicon and replace to match your “new” frame – as a company, we believe this is the finishing touch to creating a flawless factory finish. 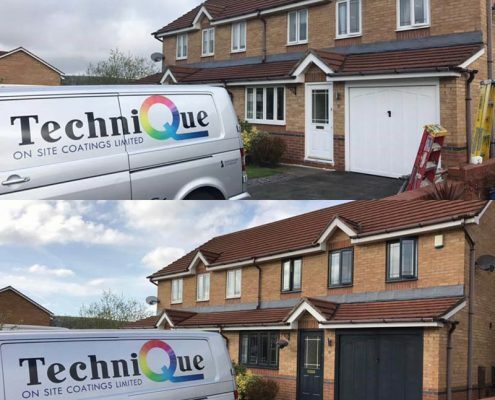 With such a durable coating, we provide you with a guarantee that your new coating will not crack or peel – even in British weather. 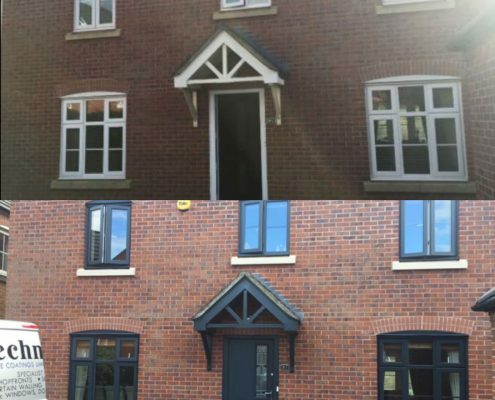 Our product also withholds necessary UV properties which ensure no negative effect on the colour or quality of the resprayed frames in the sun.